An ideal choice for keeping an aspiring astronaut's space suit, or school clothes, safely stored away whilst still adhering to a sense of universal wonder, the Explorer Mini Robe is part of the imagination capturing Space Explorer collection. Vividly finished in rocket red with cool blue legs, the Explorer Mini Robe looks more like a rocket blasting off than an accommodating wardrobe. As well as the eye-catching colour scheme the Explorer Mini Robe showcases its space age inspiration with wonderful touches like the flames of the rockets, the various rivets and the friendly astronaut. Even the legs themselves resemble the legs of a rocket, adding that extra voyager style feel. Though the Explorer Mini Robe does indeed look the part of a rocket ship it is in fact a wardrobe, and thus serves as a fantastic means to host a wealth of children's clothes. The large storage space of the Explorer Mini Robe is easily accessed via a handle in the door, making it simple for kids to open. Made from exemplary quality materials and able to last for years, the Explorer Mini Robe is as durable a piece of furniture as it is delightful. For added convenience the Explorer Mini Robe is rather easy to assemble, only needing the separate pieces to be slotted together. 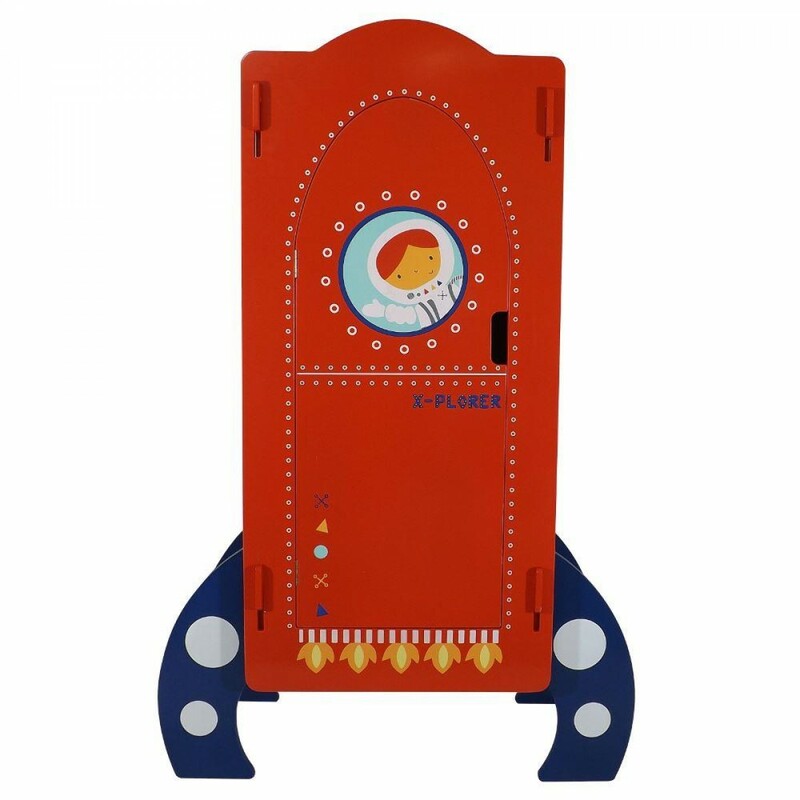 The Explorer Rocket Ship Wooden Mini Wardrobe is part of the Explorer Rocket Ship Children's Wooden Bedroom Furniture Collection.